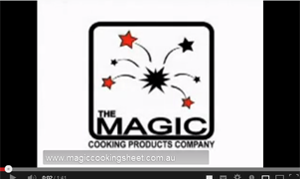 Magic BBQ liners and cooking sheets are the most innovative product that you can use to save you time, money and effort. By using a Magic BBQ sheet on your hot plate, it eliminates the need for oil as it is totally non-stick. This means that not only will your cooking be fat free a much healthier way to cook but the tiresome task of scrubbing the BBQ hot plate will be gone forever! !